The Spanish publisher Tyrannosaurus Books has announced a new book on Lucio Fulci. 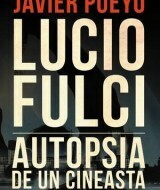 Entitled Lucio Fulci – Autopsia de un cineasta, this book written by Javier Pueyo will be released in September 2015. Website of the publisher.